I am struggling, frankly, to get to grips with the week so far, and needing a lunchtime boost I have come to Taberna Verdejo, temple of great cooking and lovely sherries. 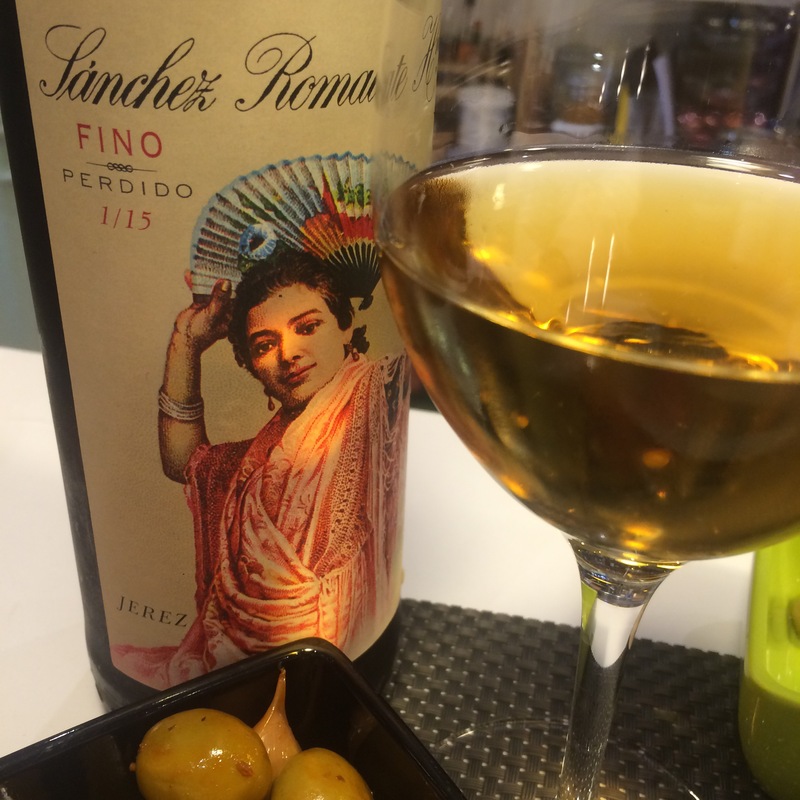 Starting with a favourite here – the fino perdido from Sanchez Romate. It is a beautiful dark gold colour and super clear. On the nose it is home made apple pie – pastry and baked apples. It looks and smells delicious. Not quite as light on the palate you might say – intense salty, yeasty flavour melting away to a long mellow finish – again baked apples spring to mind but more like apple sauce than apple pie. I like this more and more – excellent.